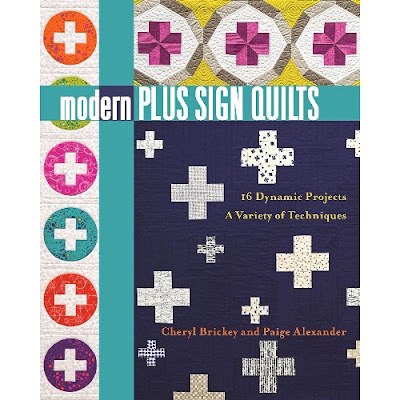 This is the 12th and final block challenge for Modern Quilts Unlimited Everything Old is New Again block and quilt challenge. 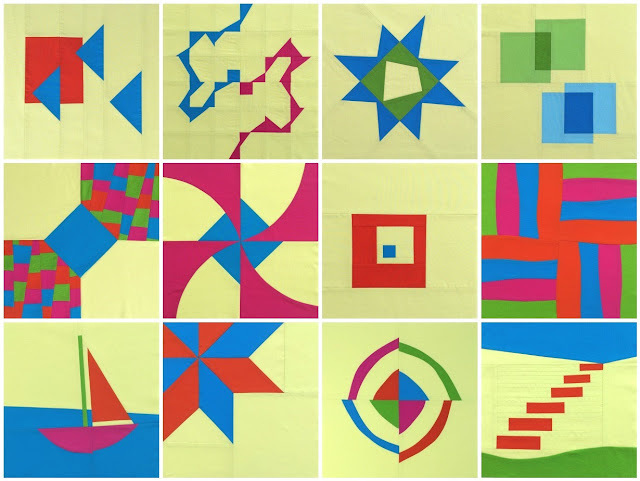 Each month we have been given a traditional quilt block to interpret in a modern way. The size of each block must finish at 12" when sewn into a quilt. 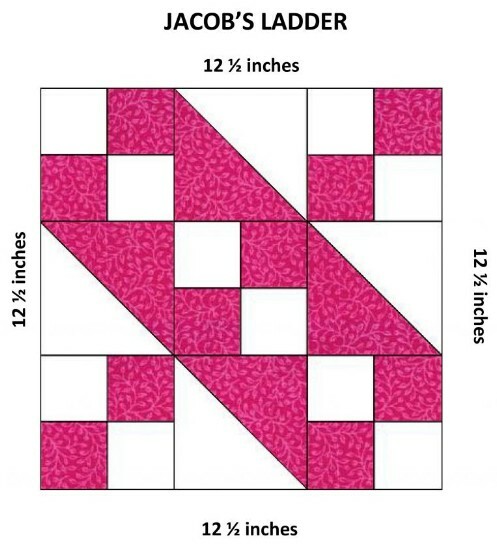 Like many other quilt blocks, Jacob's Ladder was inspired by the Bible and the reference to Jacob in the Old Testament. I named my block Stairway to Heaven. Jacob's Ladder is also know by other names such as Road to California, Off to San Francisco, Gone to Chicago, Underground Railroad and more. 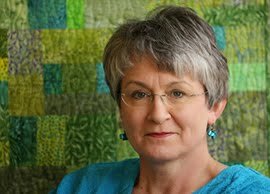 Now, the challenge is to turn all 12 blocks into a quilt no larger than 60" x 60" and, of course, you may only use Michael Miller fabrics. The deadline is September 15th. Here are all 12 blocks. Voting is open until June 15th. 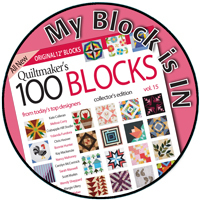 Excited to finish the last block in the challenge, I'm linking to Needle and Thread Thursday, Whoop Whoop Friday, CelticThistle Stitches hosting Thank Goodness Its Finished Friday this week, Fabric Frenzy Friday and Show Off Saturday. Paige, I love your interpretation of Jacob's Ladder (it's probably my favorite traditional block). 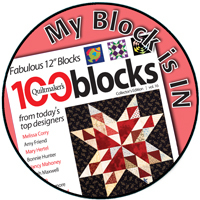 You have captured the meaning behind the block wonderfully. This is just a neat project all the way around. Do you know how you will set them together? 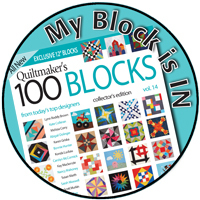 Love all of these blocks and the colors. You did great work!!! Thank you Judy! 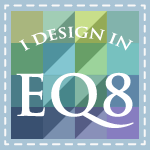 My local quilt shop happen to have all of these Michael Miller Cotton Couture solids, so that set my color palette. 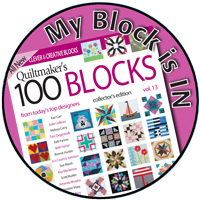 I love your interpretation of the block. I cannot wait to see how to piece all these blocks together. 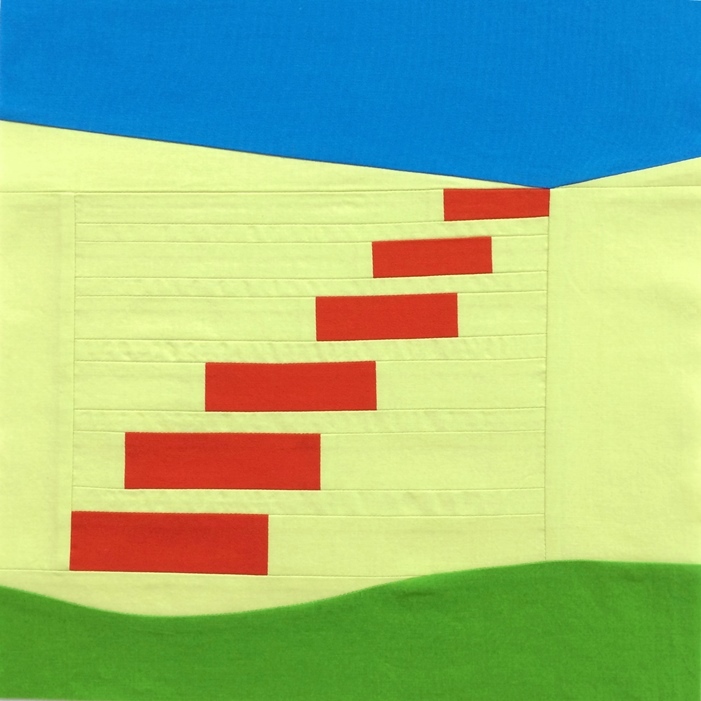 Love your modern interpretation of the Jacob's Ladder block. I think it's my favorite of the twelve but they are all great.